Few more days and it's Halloween. 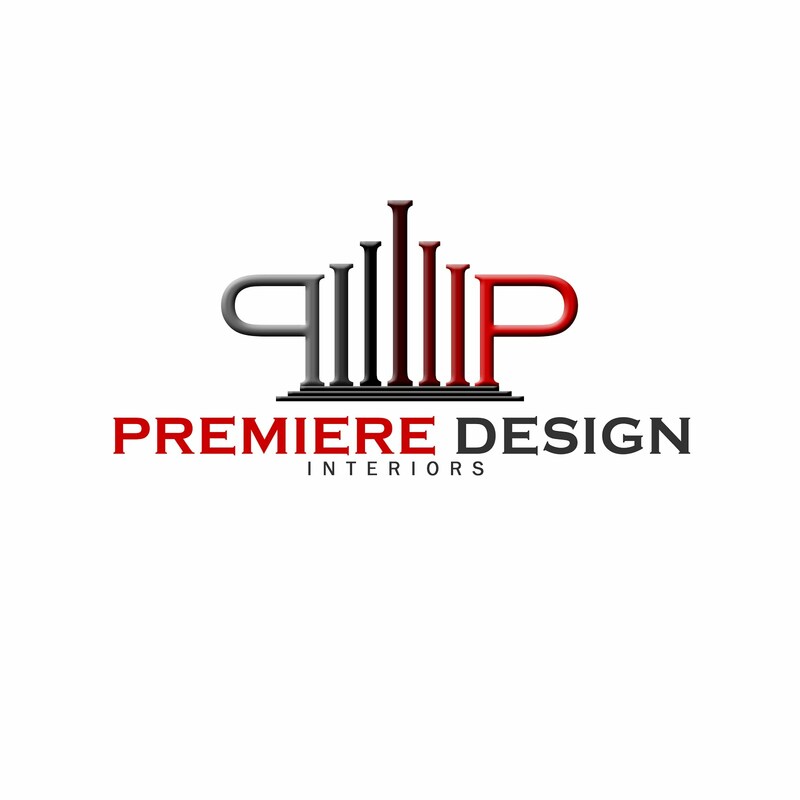 I believe you must be feeling in big trouble on what to decorate on your space. Here's a tip. Choose a particular part of the house you wish the decorate. Let's say your living room, that's a general area, try to make it specific; Your Entire Wall where your TV was place. 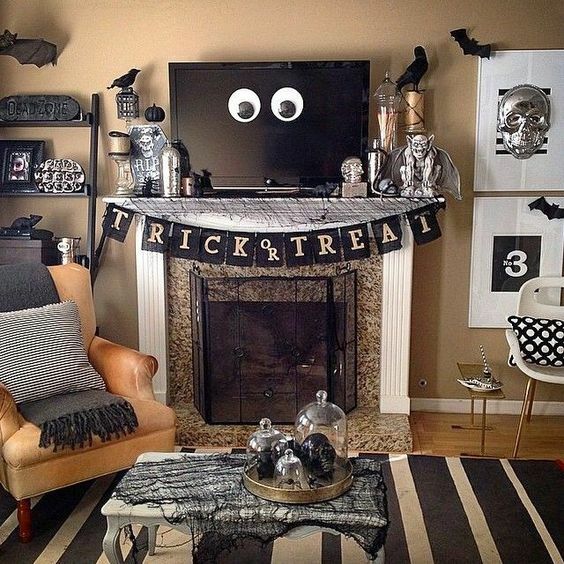 So, you have your space to decorate, don' think too much now. Let's get moving with the decors. 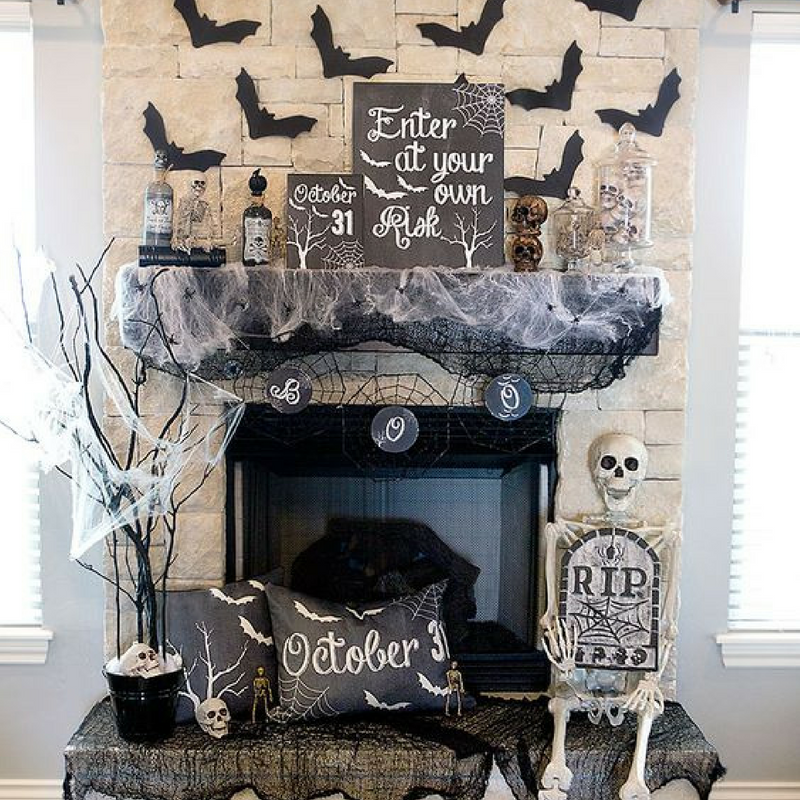 Here's some of my Top 5 Halloween Decors I got from pinterest. The above decor suggests a Steamed Punk Theme, not your typical Halloween Decors. This suggests more of a guys taste and suggests a feeling of rock and roll music and style. Seeing this decor reminds me of a spooky movie with neon lights but relatively to Mad Max where there's music and fire surrounding it, but this decor shows of an upscale motif. This is a Classic Luxe decor for Halloween, showcases the right mix of black and white without being creepy This made me feel wanting to decorate at hour house (finger cross, somebody will be mad if I did this) Look at its details, from floor to ceiling, a circular shrug matched with a round table and with a sitting skeleton and with those other vignettes. I love the crow here it adds life to the dead. My third favorite, this can be a D-I-Y Project, as most of the items are found at home, just a little accessories was added to make things more likable. All you need was black paper, black cloth, twigs, canvass a bucket and a throw pillow to start your D-I-Y, this is a good idea to enjoy while lounging on your couch. 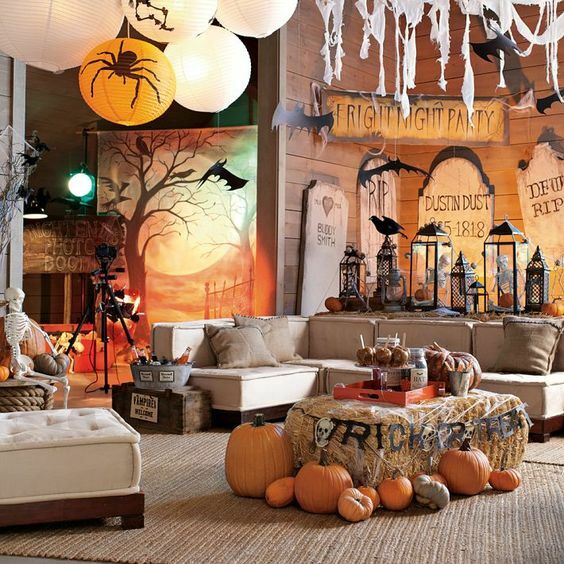 This is putting up a your space for party, great place to have photos and this doesn't look scary after all with so many pumpkins and the energizing color of Orange fills. So there's nothing to get thrills unless there's somebody creepy would be sneaking around. It would be so much fun. The Last List for this post, Is similar to my third favorite, A D-I-Y Project for those with a lesser budget. Get some papers and toys to be painted in black and silver and other vignettes that would fit in your look will give a mood your place. 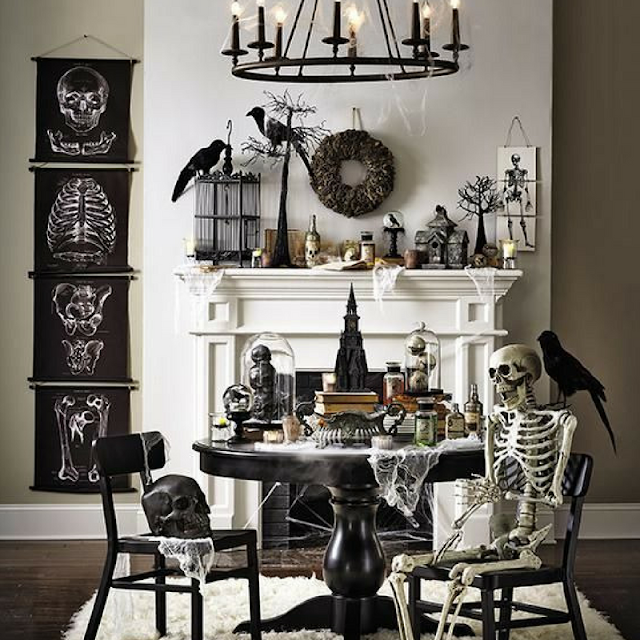 Black, Skull and Candles can make a story for your decors. 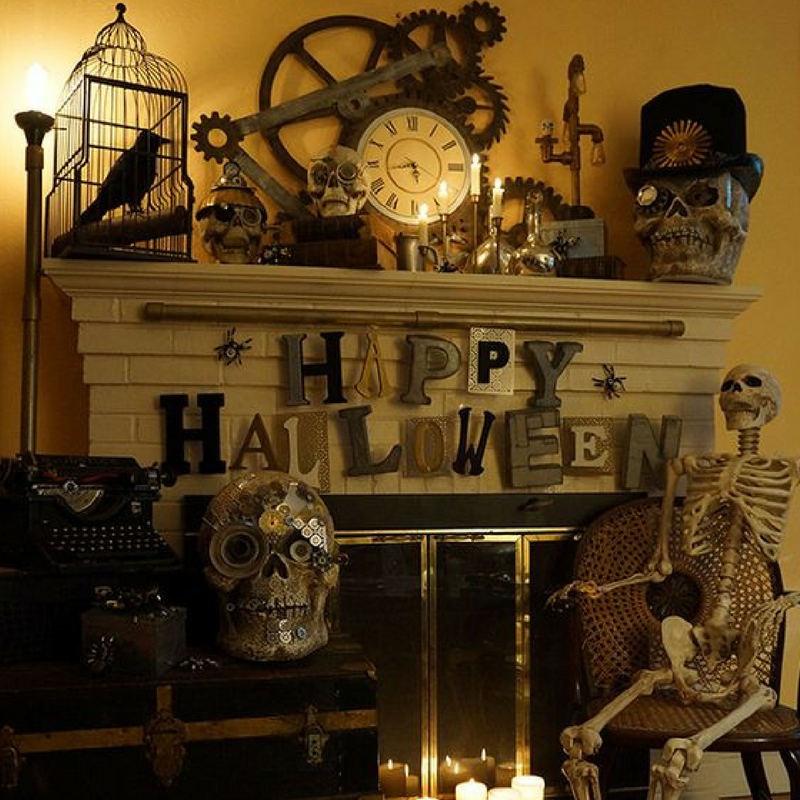 This are my Top 5 Halloween Decors. What' your theme? If you have noticed my post, I don't have ghosts but I got skulls and skeletons. 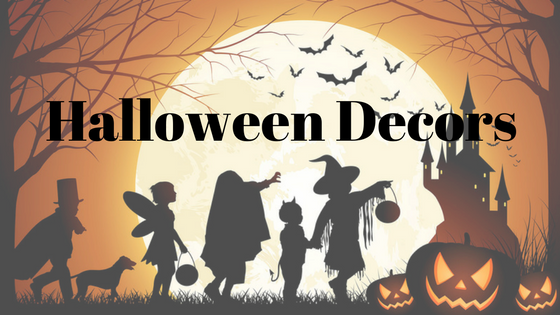 So check out my next post about Halloween Again!